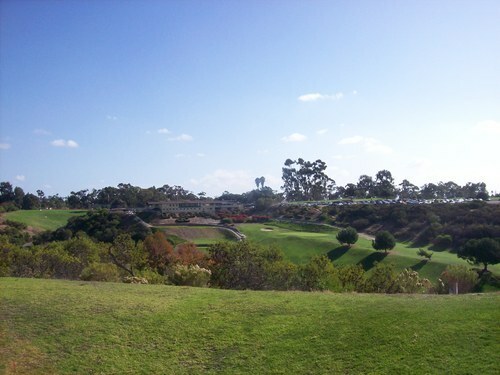 Okay, so the ultimate 36-hole day for any San Diegan is Torrey Pines South/North, which I had the pleasure of experiencing earlier this year. 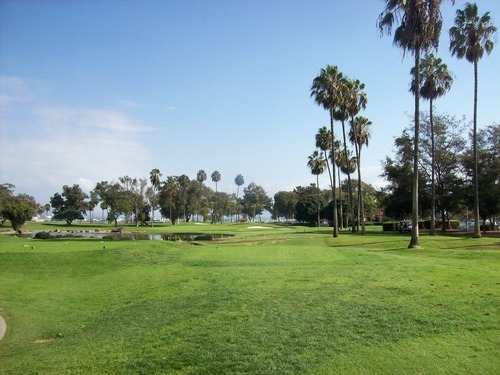 I had to pay the non-resident rate there, whereas locals get to play those legendary courses for much more reasonable rates. 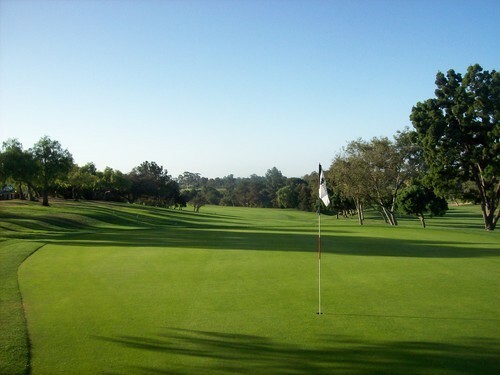 For a few months now, I’ve been going back and forth with one of my friends through Greenskeeper.org, trying to arrange a round here. This is a course I’ve always been interested in playing and he happens to be a member of the men’s club. He plays here almost every week, so I figured he’d be a great guy to play with during my first visit. We finally settled on the day and arranged to get there dark and early for the Sunday morning wait list. Apparently, they don’t set any tee times here until closer to 7:00, so that leaves the dawn patrol times open for walk-on play. There were plenty of dudes there by the time they posted the wait list sign-up sheet, but we ended up in the third group out, paired with another twosome. The pace was nice and we finished in about four hours. For me, a non-resident, the price was a little steep. It was $50 for the green fees and then an additional $15 for the cart. There were many walkers out there, but this is not an easy walking course. It’s very hilly. 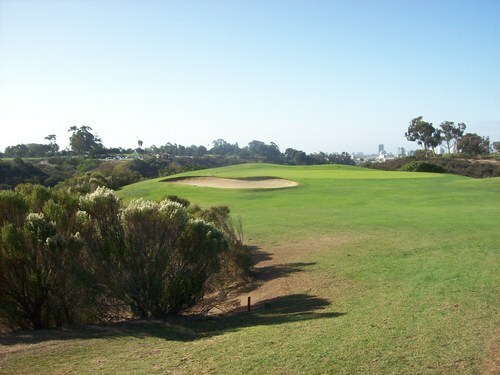 I was happy to pay more for a cart knowing I might play later in the day and also wanting to save my back/feet for this coming weekend’s trip to Monterey. From the pictures I’d seen and descriptions I’ve heard, I had a feeling this would be my type of course. It’s a really old layout (originally built in 1915, designed by William P. Bell), but was redesigned about 15-20 years ago from what I’m told. They shifted some routing around and updated several holes, so my playing partner was telling me all about some of the differences. 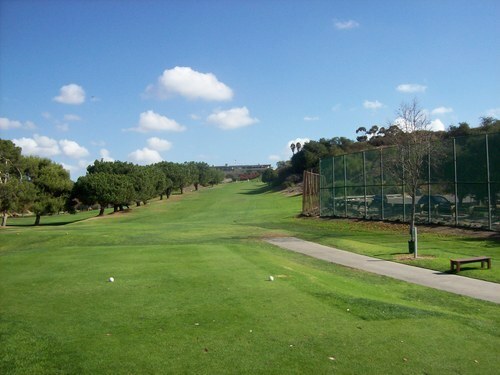 Some might deem parts of Balboa Park “funky” while others (like me) will prefer to call it “target” golf. 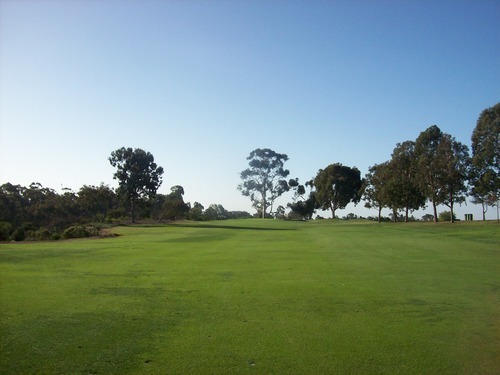 If you’ve been reading the blog, you’ll know I tend to prefer courses where accuracy supersedes length, largely because it suits my game better and partly because I tend to find these courses more interesting. 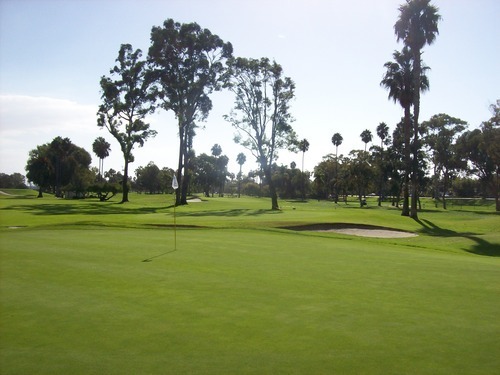 Balboa Park plays to just over 6,300 yards from the back blue tees, so it’s not long, but it’s deceptively challenging. 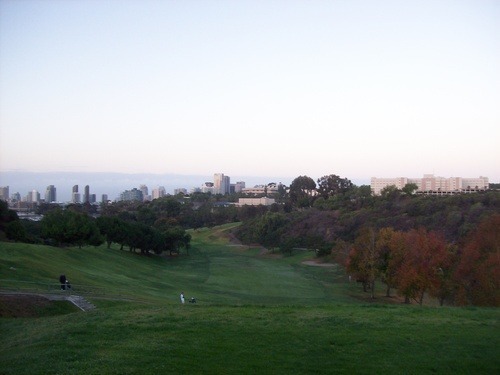 Balboa Park is built in and along a small canyon. 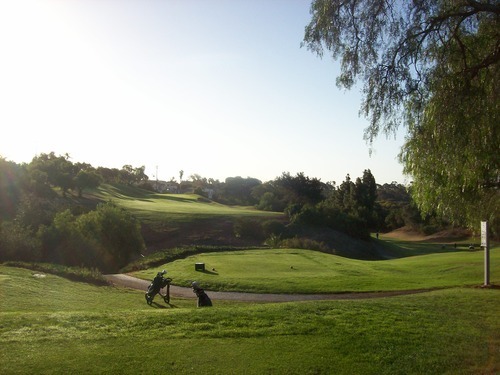 The front nine is pretty tight and puts a premium on accuracy. 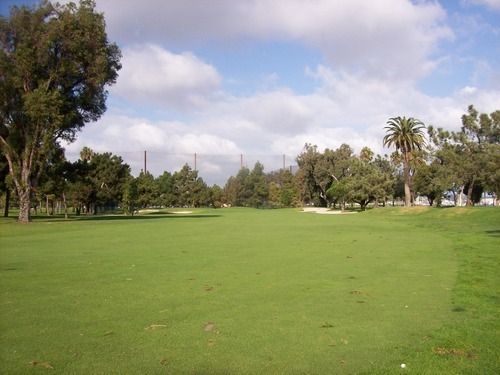 With a good shot off the tee, many of these holes present good birdie opportunities. That said, most bad shots will find some trouble and big numbers can add up quickly if you are not on top of your game. 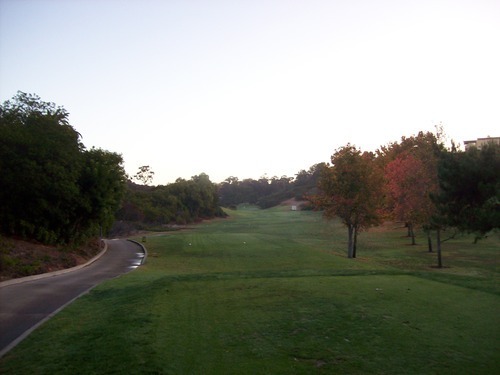 The back nine definitely opens up a lot more as it plays on top of a ridgeline, but also plays a little longer from tee to green. There are some more hazard areas in play it seems as edges of fairways fall off into canyon brush and will result in a penalty stroke. 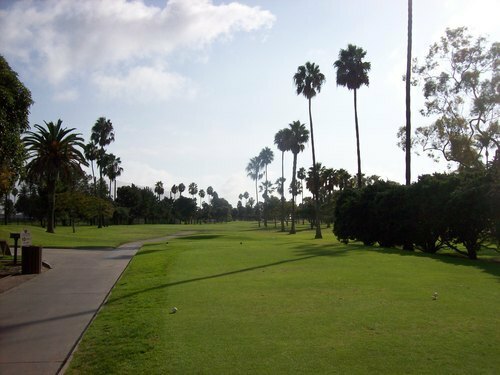 Most fairways have some slant to them one way or the other, so be aware of which side is the high side and aim in that direction. 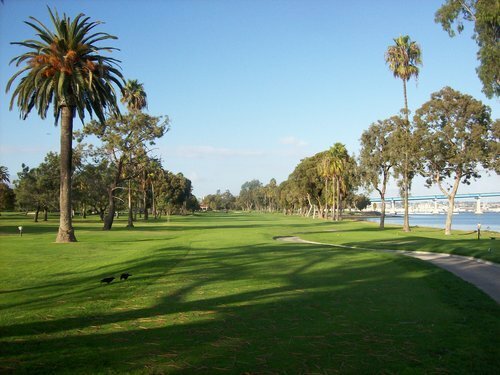 On both nines, local knowledge is definitely a benefit, so I was glad to be playing with a Balboa Park expert. Still, I know it will take a few times playing there to figure out all the nuances. 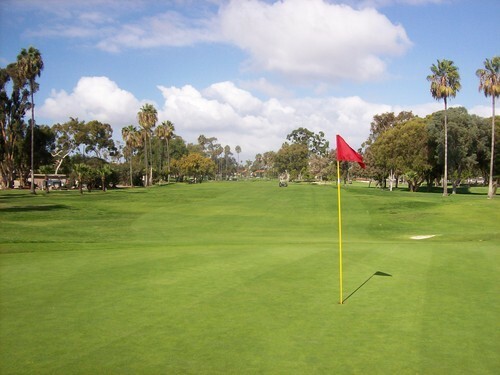 Balboa Park also has a smaller 9-hole course (par 32) to complement its big brother. I didn’t check it out this time, but may play it next time I make a visit here. 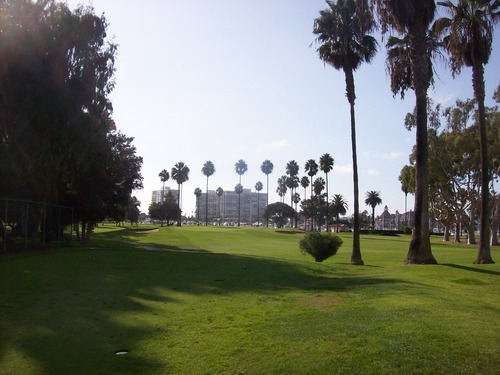 I don’t think it’s anything as interesting as the 18-hole course, but it’s there and someday I’m sure I’ll play it just to say I did. Sam Snead holds the current course record at 60. 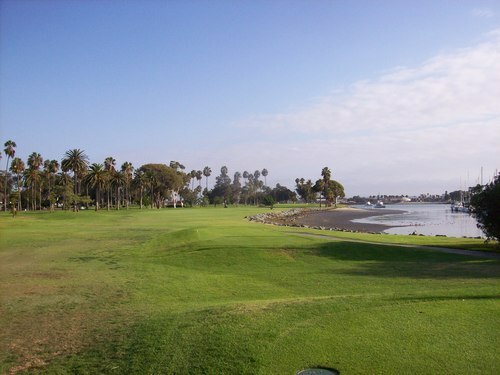 A popular local story my friend shared with me is that Phil Mickelson was out there playing one day (this is one of the courses he grew up playing a lot with his dad, who is apparently still a member). Phil was well on pace to break the course record after a tap-in birdie on 17. All he needed was a par on the 18th for a 59. However, Phil, being the golf historian he is, chose to pick up and call it a day rather than completing his round and potentially posting a new record. Who knows if this story is true, but it’s a fun one to tell. I thought the course was in pretty decent overall shape. 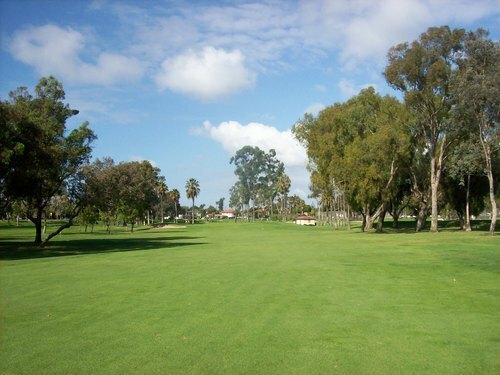 The fairways were mostly good with some scattered thin patches as expected. 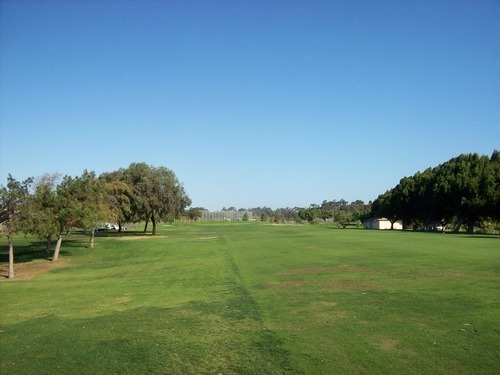 I had good lies in every fairway I hit except one where I was in a terrible firm/bare spot. 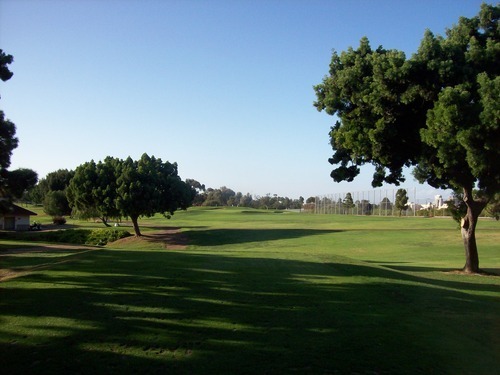 The rough was inconsistent, but you get what you deserve when missing a fairway. The greens seemed a little shaggy and slow early, but rolled better as the day went on and things dried out. I was in a few bunkers and they were all pretty good. It was a chilly morning, especially in the opening holes down in the lowest, shadiest part of the canyon. But it was a very clear day and once the sun came out, this place really lit up. 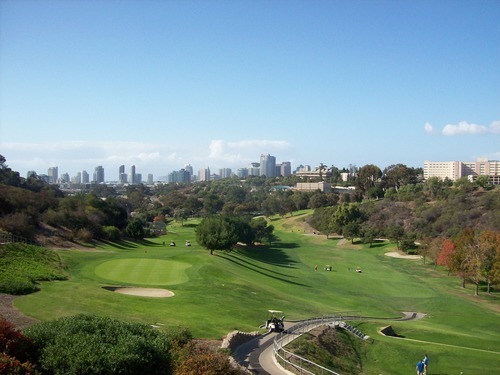 You get awesome views of downtown San Diego throughout the course and especially on the back nine. It’s a really cool setting for an awesome old course! If you can’t tell, I really enjoyed my visit here and there’s no doubt I’ll be back again. I’ve actually tried playing here before, but it has a reputation for always being packed. It’s always been too busy when I’ve stopped by or called over. 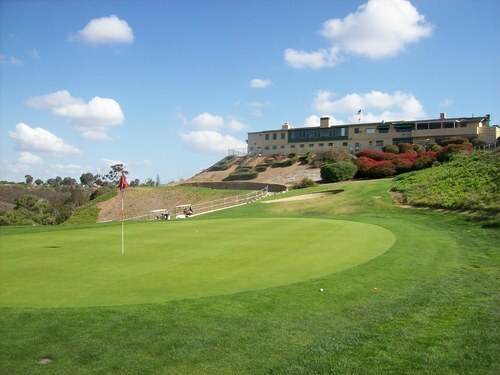 That’s the only deterrent that’s kept me from playing here because it’s a course I’ve been dying to play for years. 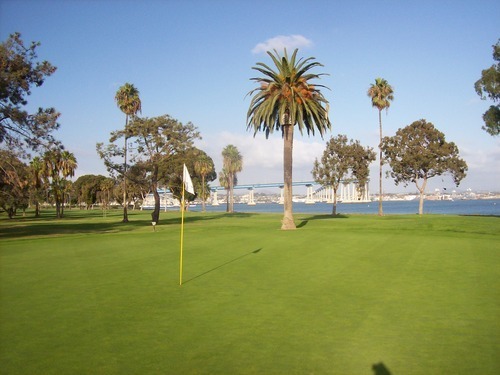 With the gorgeous weather Sunday and a relatively quick finish at Balboa Park, I knew I had to at least go by and check out Coronado because it was only a few minutes away. I got over there a little before 11:00. When I checked in at the starter’s booth, he had a spot for me almost immediately. In fact, I was in the next group off the tee! So I had to rush into the pro shop, pay and get my cart from the guy outside. 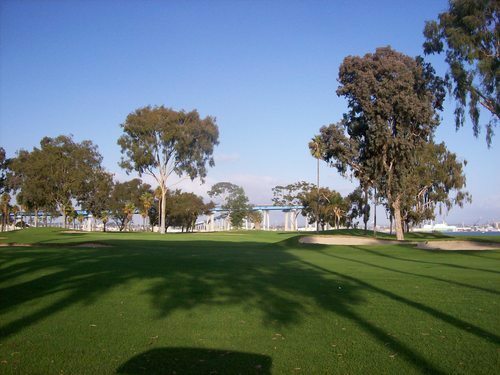 I was shocked that I was actually feeling “rushed” out to the first tee at Coronado. However, it was a pleasant surprise, to say the least! The price was $51 total for me. 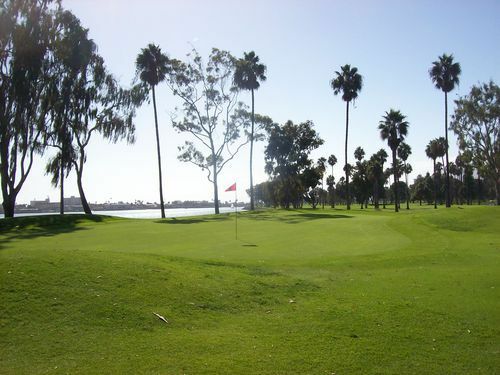 They don’t have SD resident rates here as the course belongs to the city of Coronado. Weekday rates here are $30 and weekend rates are $35 for everyone, which is amazing when you consider this piece of property. The extra $16 I paid was for a cart. The pace was a little slow on the front nine, but we never had to wait too long on any shots. Then, a couple of groups directly in front of us left after nine, so we never had to wait once on the back nine. All in all, a pace of 4.5 hours here was great for a weekend round. I’ve heard horror stories about 6-hour rounds, so this pace was very welcome. 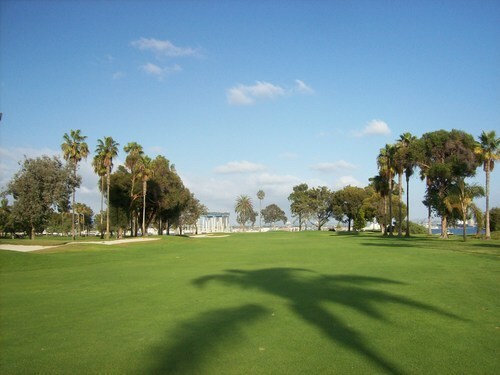 Plus, this is a course you don’t mind taking your time to enjoy. 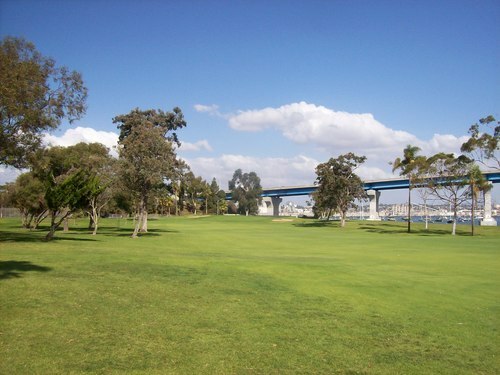 Coronado Golf Course’s layout is overshadowed greatly by the setting itself. It’s a solid design, but nothing too exciting. 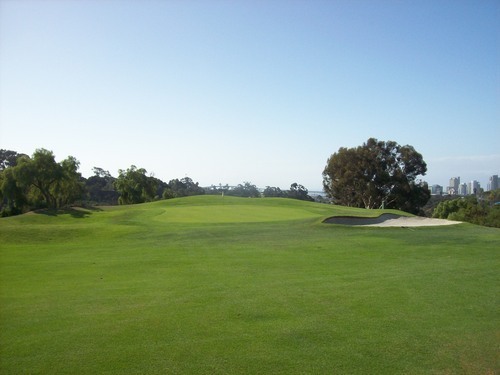 The landscape is very flat and most holes are pretty open and forgiving from tee to green. 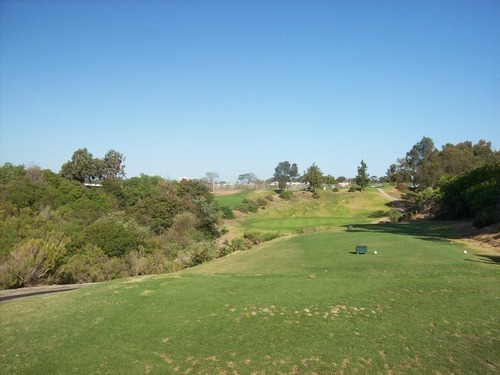 The back nine is definitely more interesting and challenging than the front, but nothing about the layout will probably really “wow” you. 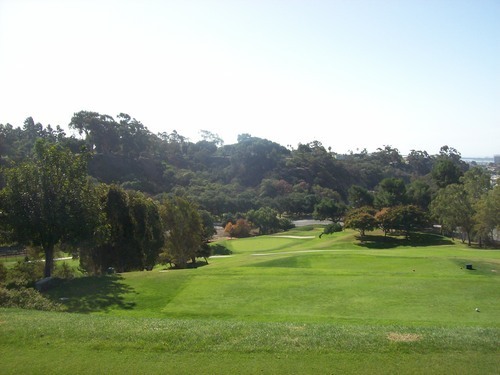 It’s a good course in a great location. 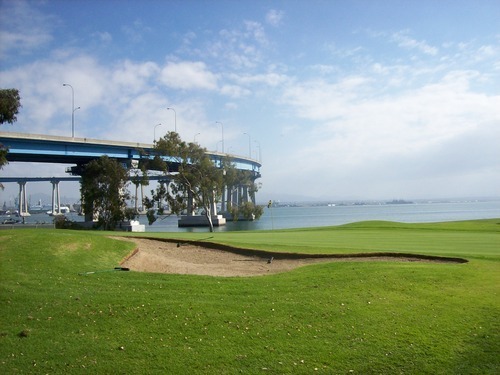 The course sits the shadow of the famous Coronado Bridge along San Diego Bay. 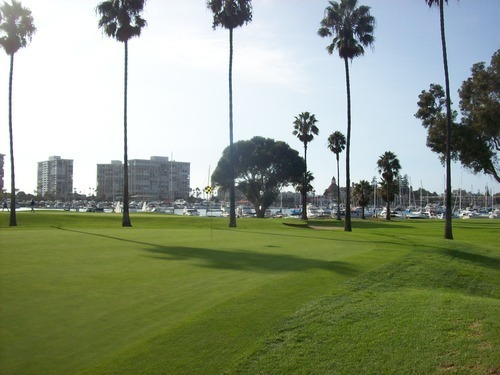 The back nine runs along a small marina with the equally famous spires of the Hotel Del Coronado framing it from behind. 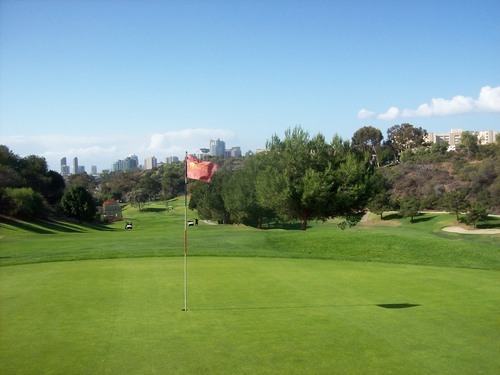 On a sunny, beautiful day like Sunday, this course feels extra special. 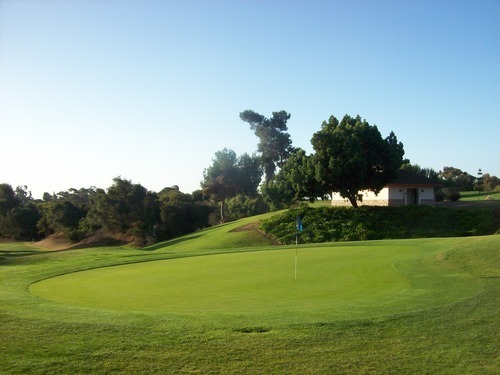 The property feels like it should be home to a $200-plus resort course, so the experience is enhanced by the fact you are paying such cheap green fees. 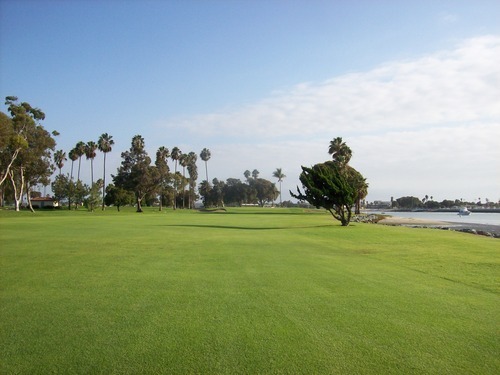 The crowds can be unruly here, but it’s very easy to understand why Coronado Golf Course is under such high demand. As far as the awesome setting and “OK” layout, things were exactly as I expected here. Getting out quickly from the wait list and enjoying a reasonable pace were pleasant surprises, but definitely not the norm. I lucked out there. 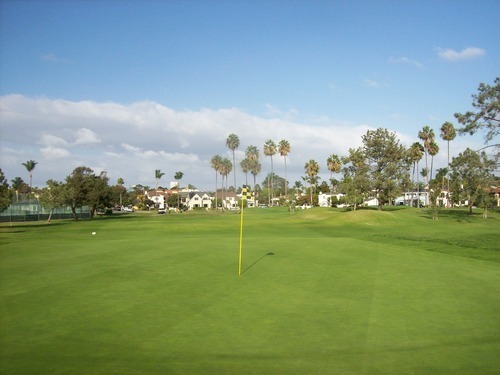 Perhaps the most pleasant surprise of the day, though, was how well the course was conditioned. 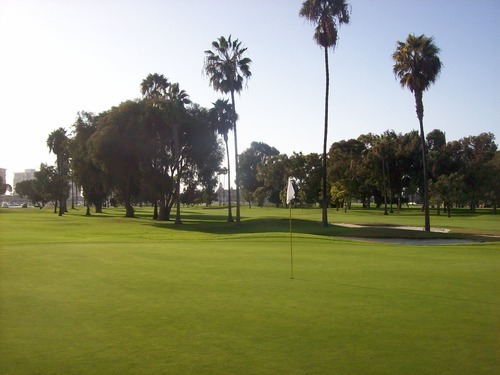 I knew this was a course that was generally well taken care of, but it’s still a muni course with inexpensive rates and plenty of foot traffic, so I tend to lower my expectations. All things considered, I’d say the course was in excellent condition. 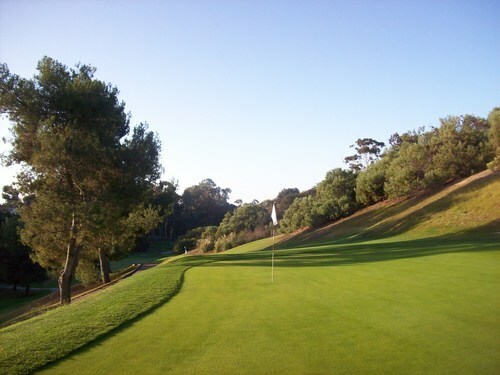 The fairways were fantastic—easily the nicest kikuyu fairways I’ve played this year behind Torrey and Malibu. 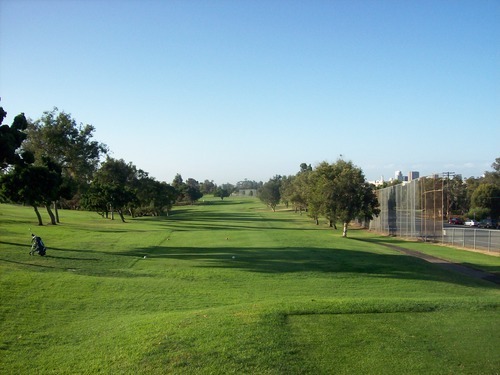 Unfortunately, I was in the rough a lot more than the fairways. It was a bit inconsistent in terms of length, but mostly pretty lush and green throughout the course. The sand traps were also great with fluffy white sand like you’ll find at most higher-end resort courses. 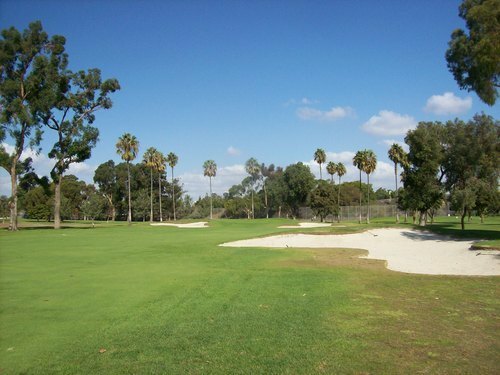 The tee boxes were all good except for the par-3s, which were extra chewed up. 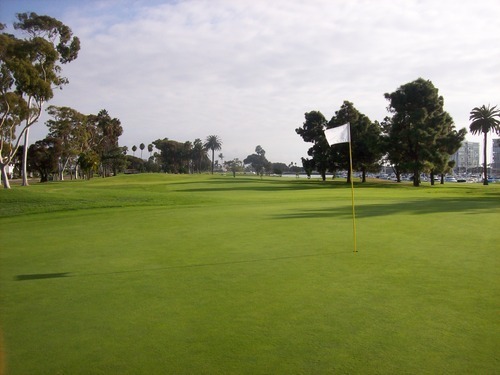 The greens were also quite nice, rolling pretty smoothly at medium speeds. The first hole green looked a bit beat up, but the rest were great. I could not get used to these flat greens. A guy in my group who is a regular here called it “NBC” (as in “No Break Coronado”). He wasn’t kidding. The ball rarely breaks much at all. That is unless, of course, when you finally give in and play it straight. Then it will break (but still not much, though)! 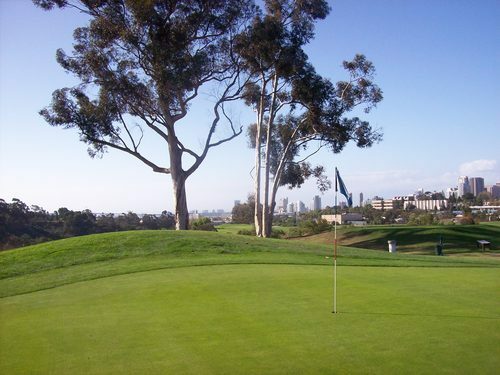 It was a great golf experience at both Coronado and Balboa Park. 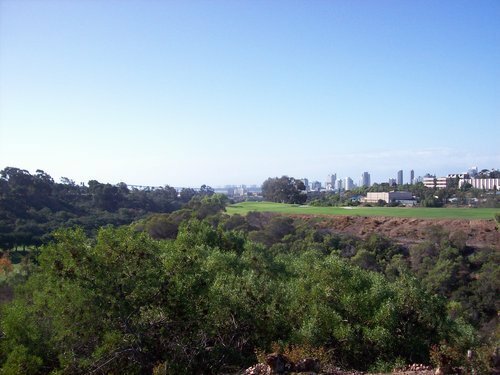 Both have great settings and views, but you still have to give the nod to Coronado on that front. 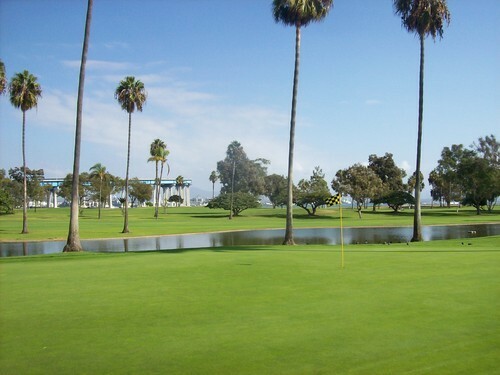 I enjoyed the layout much more at Balboa, but the conditioning and price at Coronado were better. Both are winners in my book and I’ll look forward to my next chance to visit either course.